Join Homes for the Brave on Veterans Day weekend for our 3rd Annual Mini Golf Tournament. No need to be a golf pro, we just want you to have a great time and support the work we do to serve our male and female Veterans! 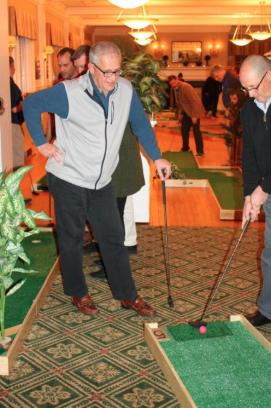 You’ll enjoy 18 holes of miniature golf along with a cocktail reception, awards dinner and chances to win exciting prizes and auction items. Feel free skip golf and join us for dinner! Applied Behavioral Rehabilitation Institute, Inc. (ABRI), doing business as Homes for the Brave, is a 501(c)(3) not-for-profit with a mission of providing housing and services to individuals experiencing homelessness, especially Veterans. By operating one permanent and two transitional supportive housing programs in Bridgeport, Connecticut, ABRI aims to help individuals return to productive and meaningful lives. ABRI staff work with clients to create personalized goals to help them achieve stable income and housing and increase their self-determination.